Austin 360 Roofing Now Offering Spray-On Radiant Heat Barrier to Significantly Reduce Energy Costs for Central Texas Homes and Businesses | 360 Roofing, LLC. (AUSTIN, TX – July 7, 2009) Austin 360 Roofing, a leading, Texas-based roofing company, has extended its energy efficiency product and service offerings to central Texas customers by supplying a spray-on radiant heat barrier. The company has partnered with STS Coatings to immediately begin delivering HeatBloc Ultra. 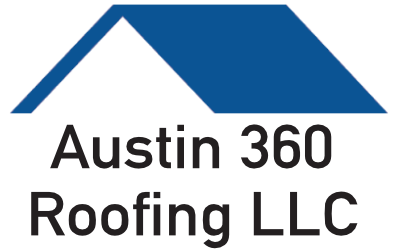 Austin 360 Roofing is a leading roofing company in Central Texas, specializing in houses, apartment complexes, office buildings, and industrial parks. The company provides expert craftsmanship in asphalt shingles, tile roofs, metal roofs, flat roofs, and green roofing solutions. Additionally, Austin 360 Roofing manages all aspects of insurance assessments and negotiations for roof repair due to hail, rain, lightning, wind, and fire damage. The company is locally owned and operated in Austin, TX, but serves the entire Central Texas area. For more information see www.austin360roofing.com. STS Coatings, Inc. is headquartered near San Antonio, TX. In addition to HeatBloc Ultra, the company offers several other related businesses and products including Roof Guardian Technologies, Wall Guardian®, Universal Tape®, and GreatSeal sealants. STS Coatings is a Texas HUB certified manufacturing company. For more information see http://stscoatings.com.